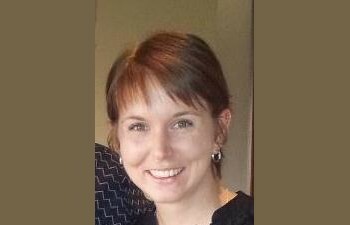 The Bishops Commission for Pastoral Life and the Broken Bay Institute have awarded former YCS worker, Lauren Cole, the Diocesan Youth Ministry worker for the Rockhampton diocese, the inaugural National Youth Ministry scholarship. The scholarship means Lauren is now nearing the end of the first semester of a Graduate Certificate in Theology, specialising in Youth and Campus Ministry, with The Broken Bay Institute (BBI) and the University of Newcastle. Because BBI is a leader in online courses, Lauren is doing her studies from the convenience of her home in Rockhampton. Lauren has been working for the Rockhampton Diocese for about 18 months, having previously worked with the Townsville diocese and with the Young Christian Students movement. Her work with the youth ministers and young people across the vast Diocese of Rockhampton takes her from the beautiful central Queensland coast to the Northern Territory border in outback Australia. “It’s the hands-on work with young people, on camps and retreats that I enjoy. To see the transformation that takes place in them over that week that they’re on camp is so fulfilling. That gives me a lot of confidence and it means you know you’re doing the right thing.